Finding Rancho Santa Fe short sales isn’t easy. This of course, is one of the most affluent areas in the entire world. The short sales you find however, will be some of the nicest homes on the market regardless of how difficult they will be to actually purchase. I say “difficult to actually purchase” because that’s the rule of thumb when it comes to dealing with short sales. Short sales, as we all know, are properties that the owner and the lender have agreed to sell at a loss. Which means that the homes tend to hit the market at a very low price in order to generate interest from the maximum number of buyers. Rancho Santa Fe short sales are no different, but now you have something on your side when it comes to purchasing them. It used to be that you would end up pulling your hair out after months of tedious negotiations for your short sale. Well, that’s not a problem any longer. You still need time. That hasn’t changed. One thing you don’t need to do any longer is pull your hair out. Thanks to OpenOffer.com. OpenOffer.com makes buying a Rancho Santa Fe short sale virtually stress free. Why? Because not only does OpenOffer.com give you the same exact information that the home owner and the real estate professionals have, but it also handles ALL of the negotiating for you. Let’s step back a second so I can fully explain. 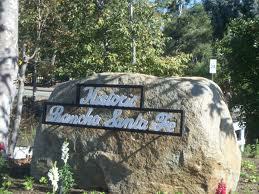 Rancho Santa Fe short sales are like any other short sale. You’re going to get in a bidding war with other buyers. The difference with OpenOffer is that you yourself will not be doing the bidding. You could say that OpenOffer does your bidding in the bidding war, but maybe you should leave that to a corny real estate blogger. That’s right, no more stressing to come up with the perfect price. No more wondering if you’re making the right decision. 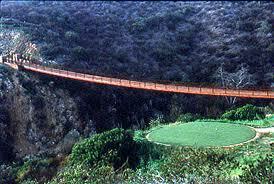 No more of any not knowing what others are offering on the same Rancho Santa Fe property. OpenOffer not only makes your offers for you, but it lets you know exactly how much your competitors are offering. IT takes the guessing out of the guess game.